After trekking northward from the Philadelphia area, we finally hit Niagara Falls, NY, in the afternoon. 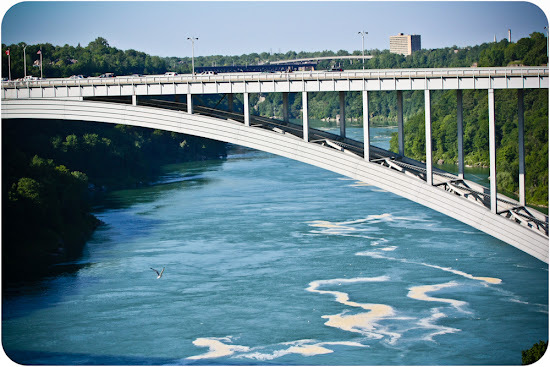 We had a brief look around the state park, but quickly found our way to a restaurant for an early dinner then onward to the Maid of the Mist for a spin around the Niagara River near all 3 falls that make up Niagara Falls. 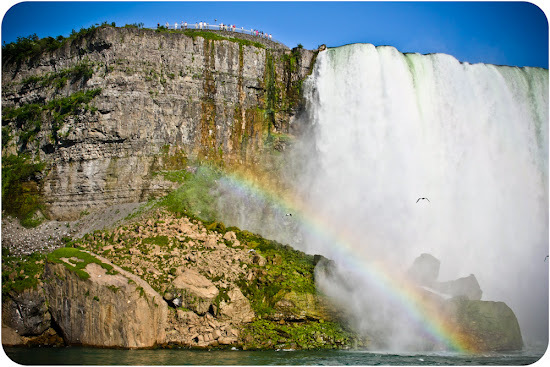 We entered the Maid of the Mist right near the Rainbow bridge that joins the US and Canada in Niagara Falls. 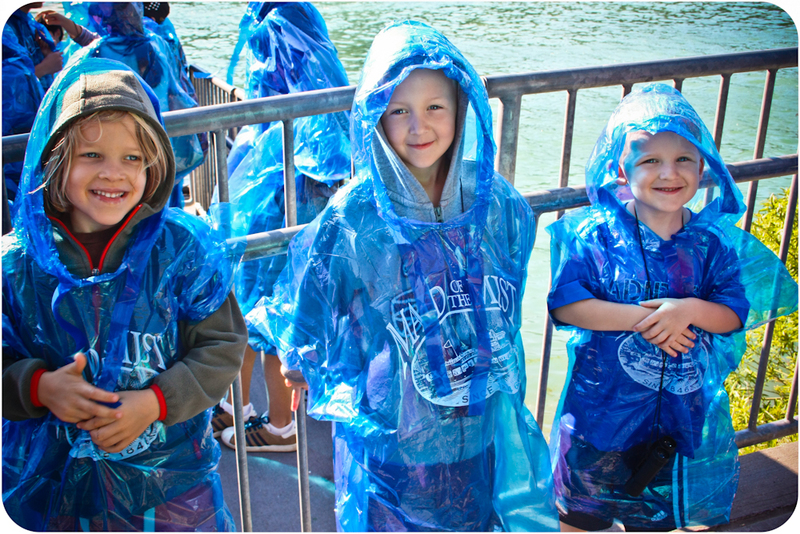 The kids were almost as excited about their "free" ponchos as they were the ride up Niagara River. 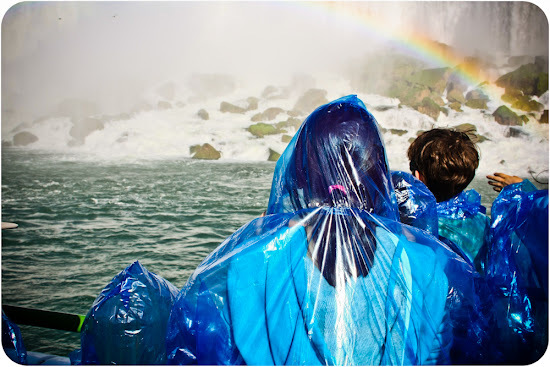 I heard that the Maid of the Mist ride could get quite wet so I carefully carried my camera under my poncho. For most of the ride, the camera could safely peek through my sleeve. Fortunately, we were here on a sunny day so rainbows abounded. 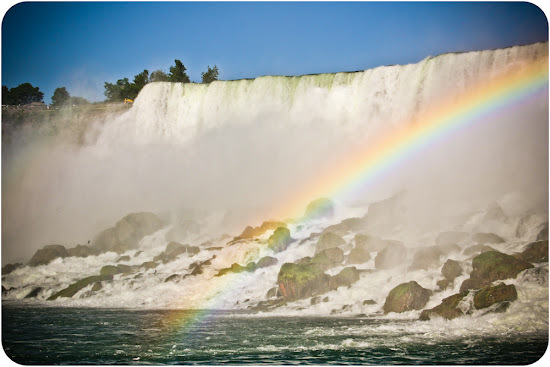 How awesome to visit a place that nearly always has rainbows! American Falls was the first falls we floated by. As we neared Horseshoe Falls, the mist intensified and the camera had to spend most of the trip inside Horseshoe Falls inside my poncho. It really felt like a strong rain pelting us for a few minutes. 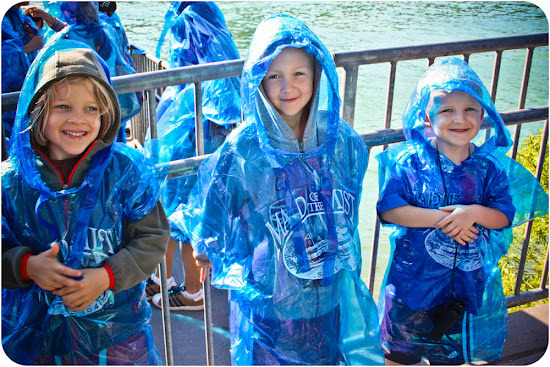 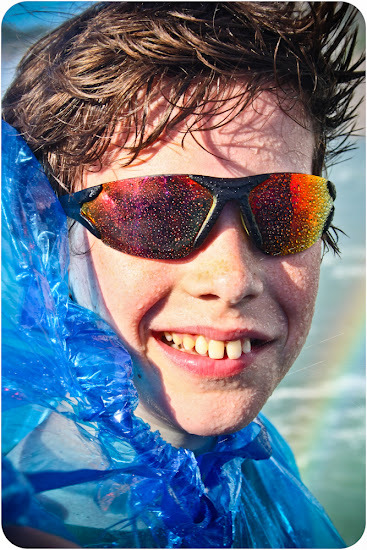 The kids thought it was more fun to get wet than pull up their poncho hoods. 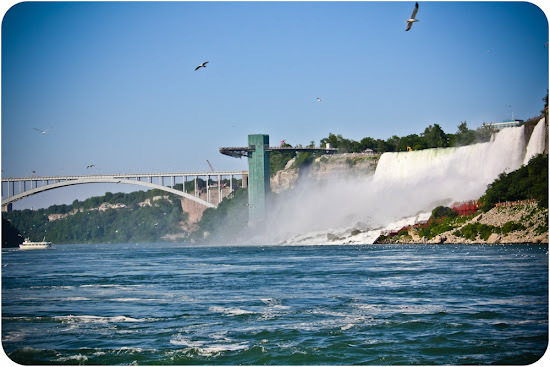 As we left the boat, we rode up to the observation deck for a fabulous view of all the falls. 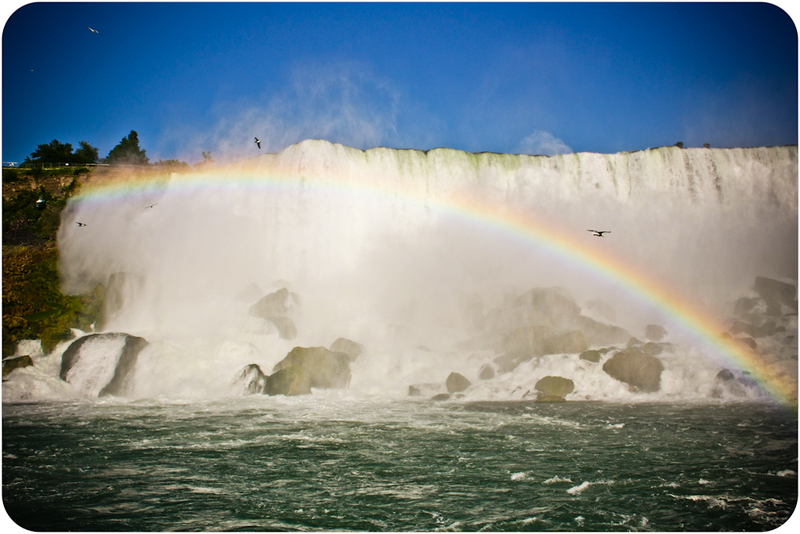 It amazed me how hard it is to really see the Horseshoe Falls for all the mist. We could even see the mist from a few miles away as we were driving into town. By evening, we drove across to the Canadian side where more adventures undoubtably await. 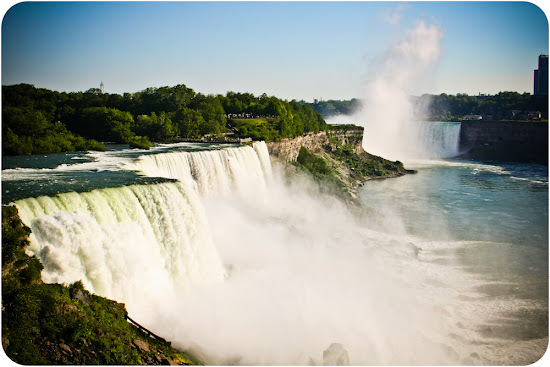 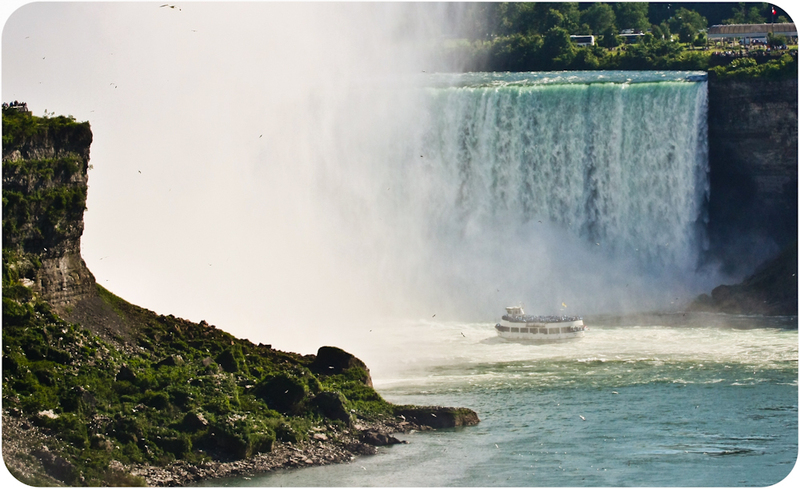 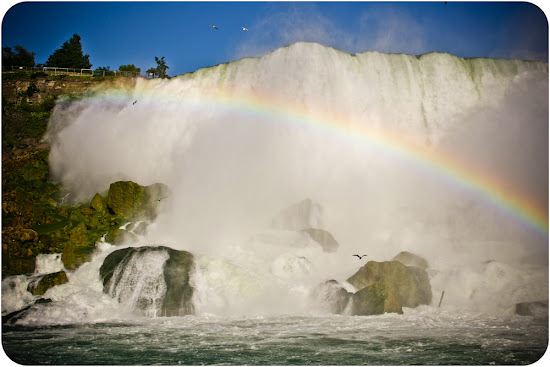 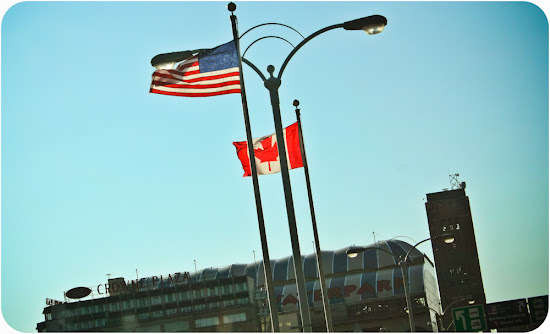 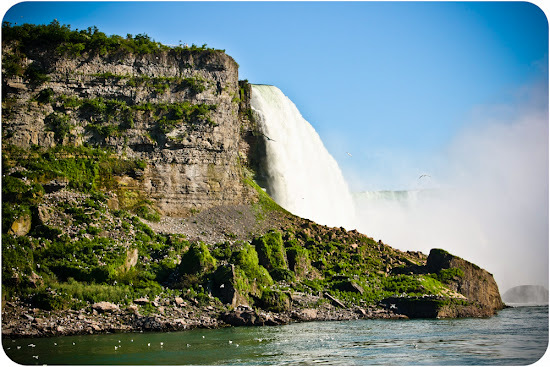 Niagara Falls, sometimes called Canadian Falls, draw thousands of tourists every year to glimpse the stunning view of the falls,Zoom Tours they will guide you how to enjoy yourself.